I’m so excited to announce that in a few short weeks I’ll be taking part in a bridal show & wedding soiree at a beautiful local wedding venue! We’re going to be featuring our latest work, some of our favorite printed displays and a few special treats! 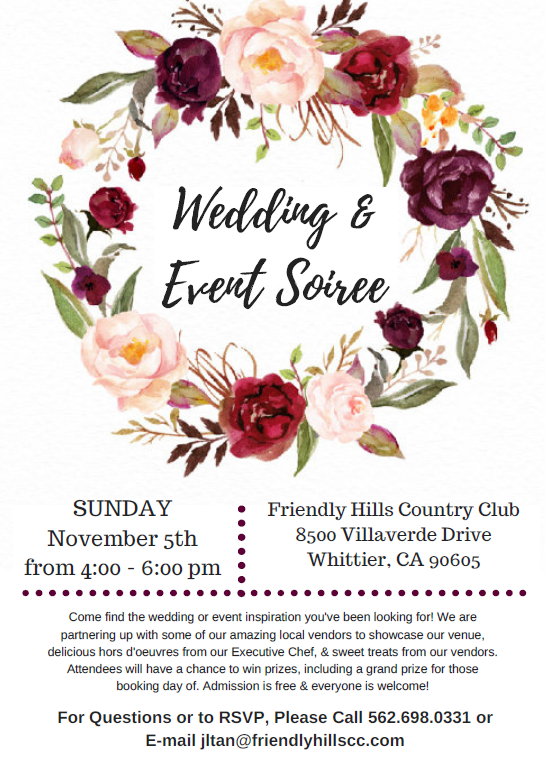 There’s going to be a great lineup of other incredible wedding vendors there too, so come check it out! Admission is free and all brides to be are invited! Tips: Make sure to enter the raffle and win some AMAZING prizes! See the flier below for more information!